Size: 42" x 20" x 18"
Spending time in the wilderness provides inspiration. Truth, economy, and drama in composition are keynotes in my work. It starts with a dream or vision. Imagination, memory, history and experience combine. Fascinated by the relationship between beauty, function and form, I build several maquettes to explore possible compositions. Sculpture is magical when it passes scrutiny from all perspectives, and seems to come to life in front of my eyes. Large exterior installations require sufficient space for walk around viewing. Smaller scale works often have a swivel mounted in them to invite interaction with the viewer. Rotation allows interplay between perspective and light, comparable to the variations found in exterior installations. Exploring how rigid materials can convey fluidity of motion and how composition can create multiple meanings is the essence of my practice. 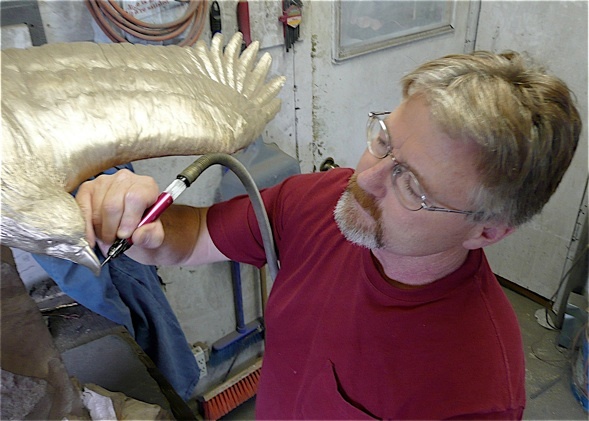 Tom Hjorleifson works in his studio in Canmore, Alberta, creating sculpture in a range of scales from hand-held to monumental, in bronze, stainless steel and stone. Born in Winnipeg, Manitoba, Canada, Tom spent his formative years in Winnipeg and then Calgary. The YMCA played an important part in his early personal and leadership development. Extensive world travels added to his experience. In 1980, after graduating from the University of Calgary with a BPE specializing in Outdoor Pursuits, Tom moved to Canmore, where he currently resides with his wife and assistant Patricia. A self-taught sculptor, Tom began creating work in clay in 1990. He became a member of the Canmore Artist and Artisans Guild in 1992. His work is found in private and corporate collections around the world. 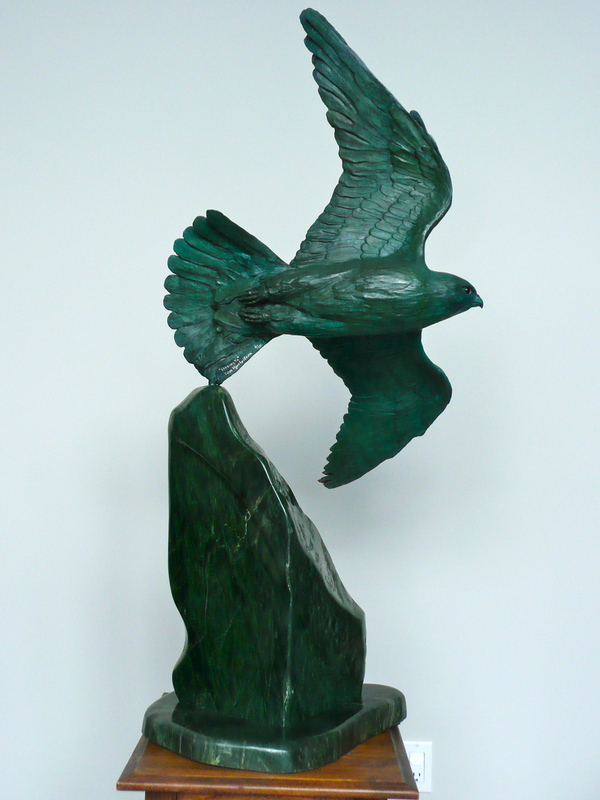 Bronze is his preferred medium, but he also incorporates elements of stainless steel and stone. "The Rocky Mountain wilderness inspires my work. Personal encounters with wildlife evoke a deep passion, a desire to capture the magic of those moments. Hopefully, the work will promote the importance of the environmental movement”. Recently Tom has been focused on larger installations and the human form. “Exploring the human form, infinitely expands the possibility to create more complex work that inspires viewers to explore their own imagination”. For Tom, creating art is a compelling process, an exciting, irresistible journey. 42" x 20" x 18"